After the historic opening of the first major retrospective of the Los Angeles art collective ASCO in 2011 at the Los Angeles County Museum of Art the show traveled to Williams College Museum of Art in Massachusetts, opening in March 2012. 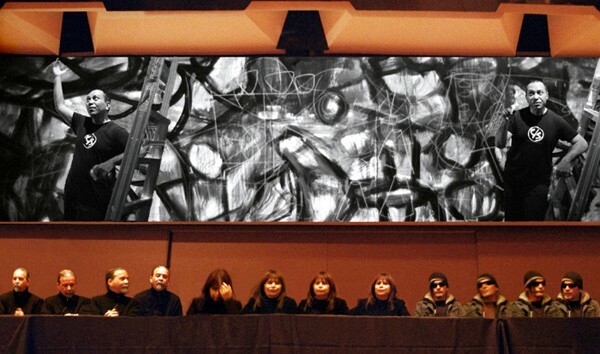 The images of Patssi Valdez, Harry Gamboa, Jr. and Willie Herron III in Last Supper After A Major Retrospective were taken at the latter exhibition during the Artist's Symposium. Gronk did not attend the Williams College opening; his images were taken while he painted a mural at the Fowler Museum at UCLA in 2010.